View flattened or opened out net photographs here! Click on education then product design and scroll down. Enter in your details and the site produces a simple net for a CD. 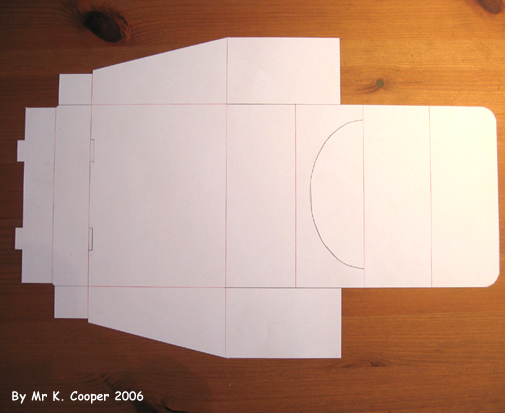 You can then save the PDF and print it out ready for making (ACE!). Create a CD point of sale unit! Follow the Corel Draw CD point of sale tutorial and create a point of sale unit that can hold 10 CD's. What net will you produce? research different types here. Welcome to the net examples page! Below is a selection of net examples in PDF format. You can save these and open them in CorelDraw then print them off and make them. Once made you can see how they are made and set up in CorelDraw then you can design your own!